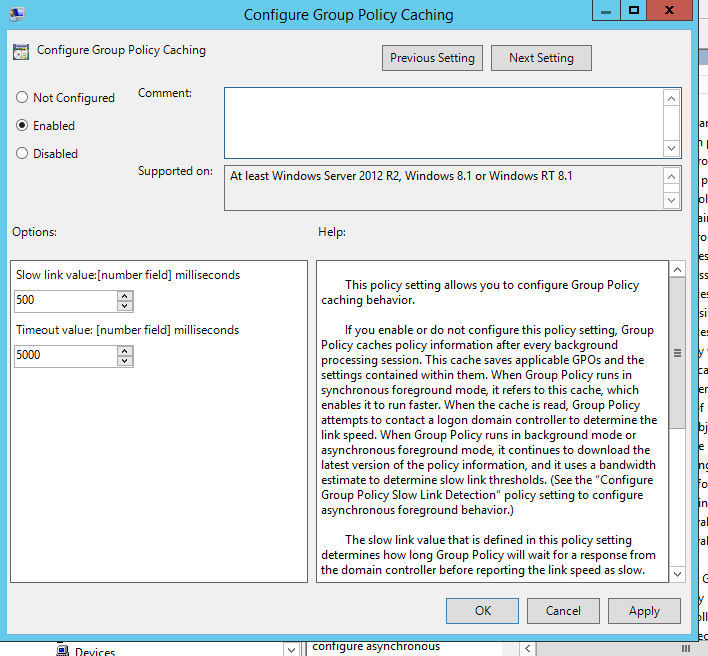 So what’s Group policy caching ? 1. 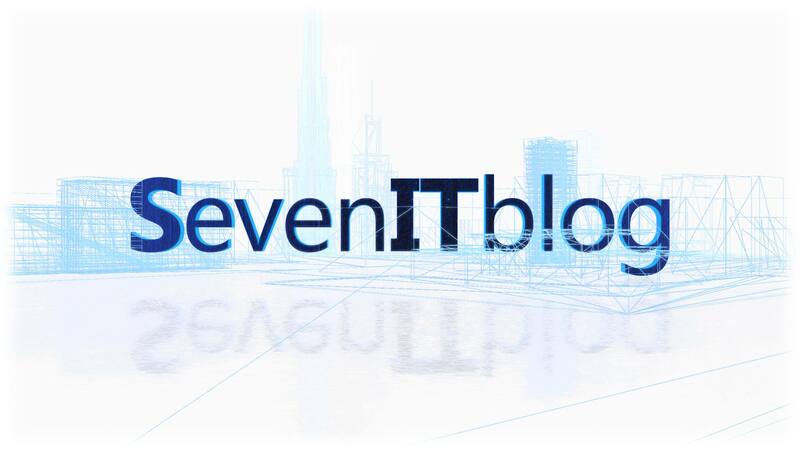 User policies : When applied ? A windows 8/8.1/2012r2 gets the settings from the domain controller, this policy are stored on a local data store ( ) . At next report the client reads the most recent version of policy and checks it . This reduces the time that takes on the machine boot and the process of policy settings , that’s nice !! 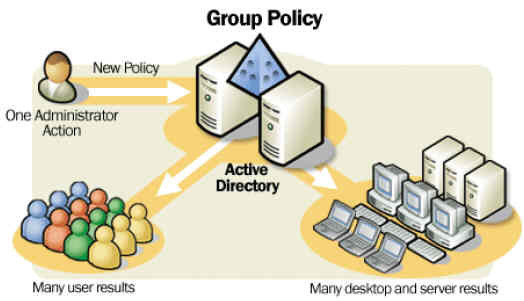 modify / create your policy , navigate to Computer Configuration > Administrative templates > System > Group Policy > “Configure Group Policy Caching” policy setting. Take a look at Slow link values! !